The first year of our BREE award has flown by and we are into Year 2. We have made great progress in the first year and met our milestones. Available here is a brief snapshot of many of the efforts that are underway. Revisiting Hydrometeorology using cloud and climate observations. VT EPSCoR held a successful kick off to Year 2 with an exciting All Hands Meeting on June 6, 2017 at Saint Michael’s College in Colchester, VT. Over 80 participants attended including new 2017 Undergraduate interns, graduate students, post-doctoral associates, and members from the VT EPSCoR External Advisory Committee. The Inaugural Policy and Technical Advisory Committee (PTAC) meeting was held on May 25th, 2017. The meeting provided an opportunity for lots of conversation across a broad range of perspectives. Participants heard how past work has provided the foundation of VT EPSCoR BREE's future work. The morning was designed to provide a discussion around where we have been and where we are planning to go with the BREE project over the next four years. 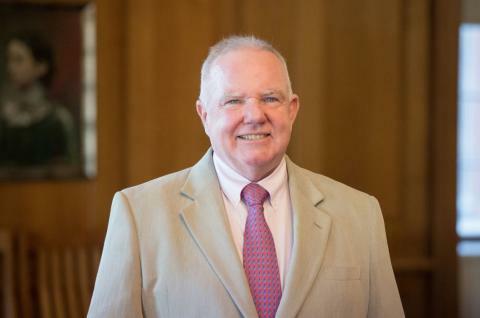 The Greater Burlington Industrial Corporation (GBIC) has given its highest recognition award to John Evans, special advisor to the University of Vermont president, president of the Vermont Technology Council and former dean of UVM’s Larner College of Medicine. Dr. Jason Stockwell is a member of the VT EPSCoR RII Track-1 Lake Champlain Basin Resilience to Extreme Events (BREE) team. He is the Director of the Rubenstein Ecosystem Science Lab, and received tenure at the University of Vermont in 2014. 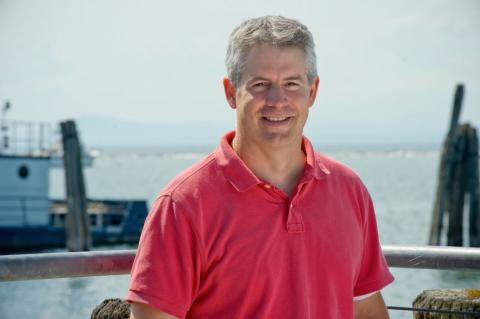 Dr. Stockwell joined UVM through the VT EPSCoR Adaptation to Climate Change in the Lake Champlain Basin: New Understanding through Complex Systems (RACC) program in 2011. Dr. Stockwell was also recently awarded from the National Science Foundation (NSF) a Research Experience for Undergraduates (REU) grant. Jason Stockwell, an associate professor in the University of Vermont’s Rubenstein School of Environment and Natural Resources and director of the Rubenstein Ecosystem Science Laboratory, has received a Fulbright U.S. Scholar Program award to France to study the impact of storms on lake systems around the world. The announcement was made by the U.S. Department of State and the J. William Fulbright Foreign Scholarship Board. The 9th annual Vermont EPSCoR Student Research Symposium showcased the work of student researchers in the Research on Adaptation to Climate Change (RACC) program. The event took place on Tuesday March 28, 2017 in the Dudley H. Davis Center on the University of Vermont campus and was hosted by the Center for Workforce Development and Diversity. The symposium offers student researchers an opportunity to practice their science communication skills in a professional environment, and provides a critical capstone to the year-long high school research projects and summer undergraduate internships. RACC research provides valuable insights on the Lake Champlain Basin for many stakeholders throughout Vermont. The many contributions from this year’s young scientists will help improve our understanding even more! Thank you to all for your effort and dedication. 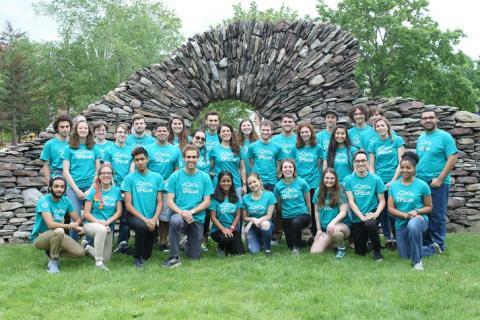 The first cohort of 30 undergraduate summer interns began their research on Lake Champlain Basin Resilience to Extreme Events (BREE) on Tuesday May 30th. Their internship began with a four-day orientation. The first day started with of an overview of the BREE project and an introduction to the different components: climate modelling, integrated assessment modeling, social sciences, ecology, and workforce development. After that, interns hiked Mt. Philo for their first introduction to the watershed. The CWDD welcomed 19 high school student/teacher teams to the Saint Michael's College campus for a week of research education, stream sampling, and career exploration. Teams traveled from Puerto Rico, South Carolina, Boston and all around the state of Vermont. Students learned about the EPSCoR program, received hands-on experience with BREE faculty, and were able to participate in a number of Vermont-based activities. 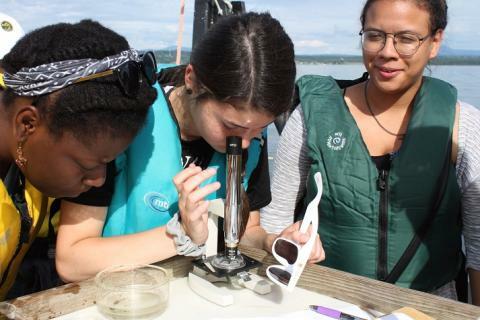 Students had the opportunity to either view Lake Champlain up close on a kayaking trip, take a hike at Rock Point to see the Lake and the Champlain thrust fault, or take a trip on UVM's research vessel, the Melosira. Janet Murray, Director Professional Development & Education Core at the Vermont Genetics Network, Mike Winslow, Center for Workforce Development and Diversity Coordinator at Saint Michael’s College, and Lillian Gamache, Assistant Vermont State EPSCoR Director & Project Coordinator, visited with numerous legislators at the Vermont Statehouse on March 30, 2017. 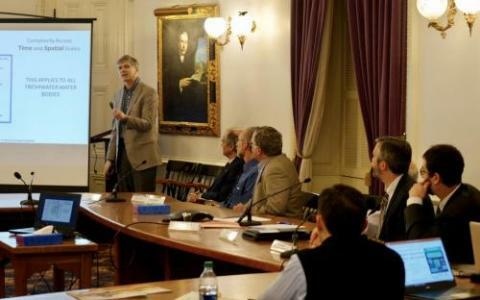 Dr. Christopher Koliba, BREE Social Systems Leader, was an invited presenter at the Vermont State House as part of a "Leadership Briefing Session" organized by the Lake Champlain Basin Program (LCBP) on February 2, 2017. Dr. Breck Bowden, Director of the Vermont Resources in Lake Students Center at the University of Vermont was also an invited speaker. The briefing session was intended to help inform legislators about the science, economics, and laws surrounding the Basin and was attended by Vermont elected and appointed officials, including state legislators, Governor Scott’s cabinet, Treasurer Beth Pearce, and more. 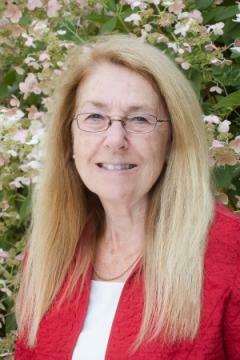 Dr. Koliba’s presentation was entitled "Lake Champlain Basic as a Complex Adaptive System."